While Final Fantasy XIV still has obstacles to overcome, its producer says that reports of its death on the 360 have been exaggerated. 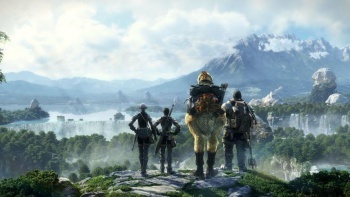 Back in June it was reported that Final Fantasy XIV had been cancelled on the Xbox 360 because the closed nature of Xbox Live made it all but impossible for the game to go ahead. But now it seems that statement is only half true, and the game might go ahead after all. Despite previous comments to the contrary, producer Hiromachi Tanaka said that the 360 version hadn't been cancelled, but instead was on hold while Square Enix attempted to come to an agreement with Microsoft. He confirmed that the problem was Xbox Live, but said that it was the only thing preventing the game appearing on the platform. Obviously this is a positive development for Xbox-owning Final Fantasy fans, but it leaves FFXIV in a rather precarious position. You could argue that it would be better if it had been cancelled, because at least that way fans would know for sure. Hopefully, the situation will be resolved quickly one way or the other, with a positive outcome obviously preferred. Final Fantasy XIV is released for PC on September 30th, with a PS3 version coming in March.